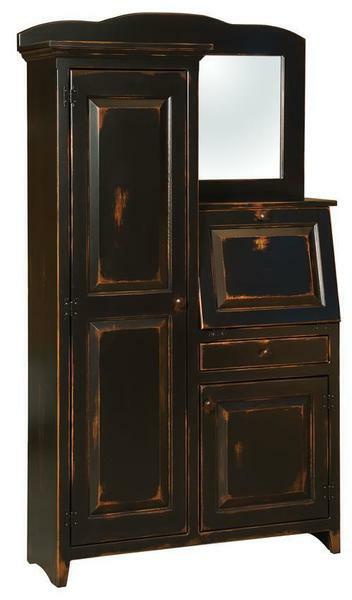 This Amish Pine Secretary Desk with Side Cabinet Door is shown in our popular black over harvest finish. It has five adjustable shelves inside. Please call with questions on pine office furniture of your home or business. Lid in the open position: overall depth is 27"